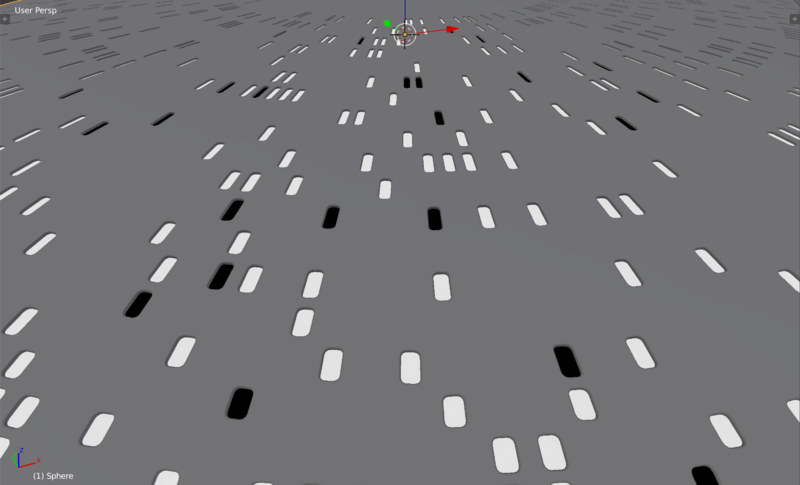 I have created a Blender Add-on that can quickly create hull plating patterns on an existing mesh. One of the most time consuming things I’ve found is how to create an interlocking plating pattern on top of meshes such as spaceship hulls. The most effective method is to manually extrude edge loops over and over, which can be very time consuming. The more detailed you want the mesh to be, the longer it will take. Quickly generate a plating pattern from a random seed. The pattern can be generated on a whole quad based mesh or on a sub selection of quad faces. Control the amount of grooves cut. Control the depth of the grooves between the plates. Control the thickness of the grooves between the plates. Option to split the edges on a smooth mesh to ensure the edges are cleanly defined. Option to completely remove the grooves and leave the plates intact. No hidden geometry created, actions are performed directly on the mesh. The add-on is available for commercial download at BlenderMarket. Any comments or queries feel free to message me via this page or on my Twitter account. I have had a lot of requests over the years to release my Insignia Class Starship mesh to the public, and after some resistance on my part I have finally submitted. It can be hard to let go of something you have come to hold very dear to your heart; I remember when I first developed this design from the sketches at the back of the old TNG Technical Manual. I recall the hours and the months slaving away to make it a reality. So I have been very wary of unleashing it into the public domain where I have no control of it. I have come to trust you though, dear readers; so treat it well. I never seem to have the time to make the many animations and pictures I have in mind for the model, which is also a reason for releasing it. There are a fair few of you and only one of me, so I look forward to seeing all the images and animations people make with it – please do email me with any of the work you do. Just remember to credit me whenever you use it!